Krisp Events is a very well known all day corporate catering company in NYC. We work closely with our clients to produce the best possible event time and time again. Our client base for all day Corporate catering clients continues to expand as we constantly raise our level of service. Our relationships are built on trust, excellent service and of course, amazing food. 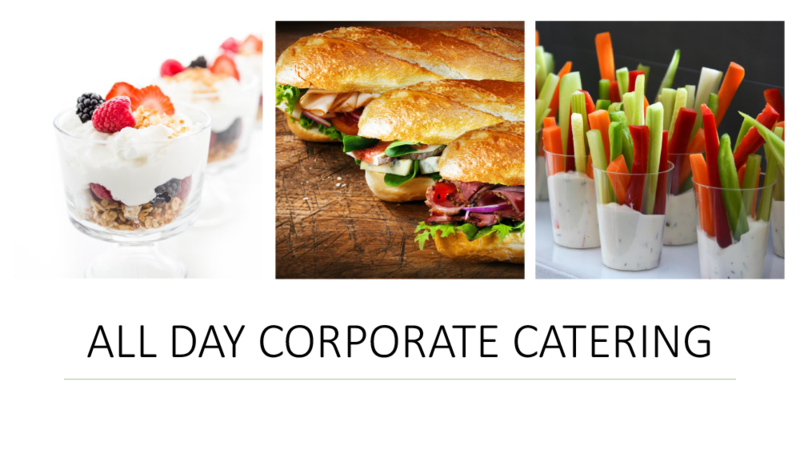 From continental breakfasts to breakfast pastries, to hot and cold standard and gourmet lunch options, our all-day corporate catering menus capture all pallets, all demographics, and all cuisines. CLICK HERE TO FILL OUT OUR ALL DAY CORPORATE CATERING FORM!